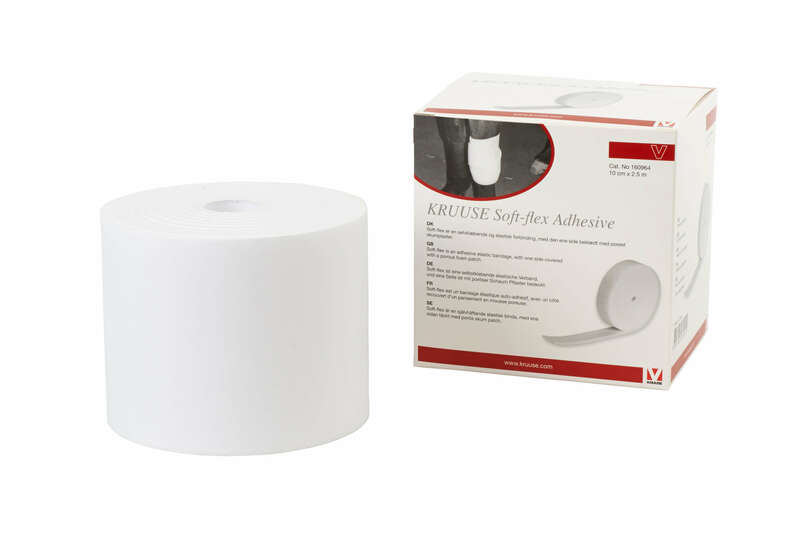 Kruuse Soft-Flex Adhesive Bandage is 5mm thick & made of foam, with adhesive on one side. It won't slip or irritate skin & won't leave adhesive residue on when removed. It is ideal when trying to secure dressings on areas that are hard to bandage. It must be used with a dressing underneath, not applied directly to the wound/surgical site. If you are concerned about your horse's wound/surgical site, please contact your vet.